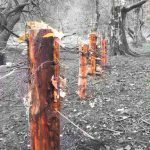 The first Colne Valley Bushcraft Club (CVBC) session on 2016 tool place at the weekend. 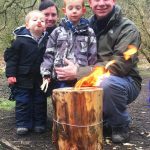 It is our aim to run a bushcraft session every month for families to come along to and learn new skills or practice old ones. This session, in some ways, harked back to our very first Slaithwaite CVBC family session three years ago in which families split logs and hammered the split wood into the ground to make a mini Swedish candle to cook on. 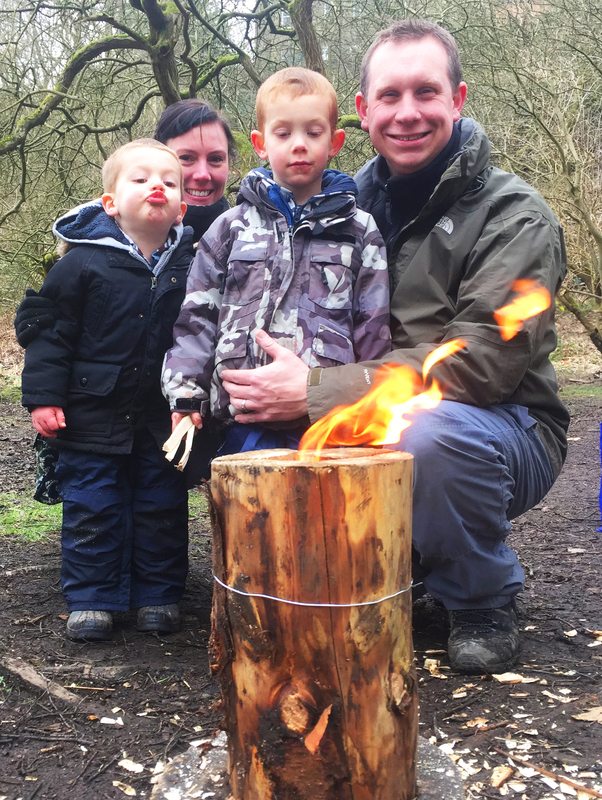 This time however we had the benefit of an investigation into Swedish/Finnish candles, Rappanan Tulli and log rocket stoves from George Aitchison, bushcraft instructor and author of the Bushcraft Days blog. Families were shown different methods of creating Swedish candles with and without chainsaw and the benefits and drawbacks of different approaches were discussed. We then moved on to making single use log rocket stoves. 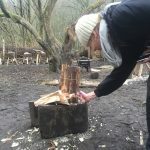 A detailed explanation of how the log rocket stove is made exists on George’s blog and is well worth a look. Another thing that this session had in common with the session from three years ago is that it over ran somewhat. Start time was delayed while we everyone arrived but I think that one or two of the logs had quite dramatic hidden knots which slowed one or two groups down. While there was not time to cook on the stoves, as originally intended, some were lit (Not all as some families were keen to take them home and light them in the garden!) I was quite surprised at how well the stoved burned. The wood had had been down for some time but was still damp inside but once the kindling had charred the inside of the stoves, they became self sustaining, the heat drying out the next layer of fuel enough to release the flammable gasses and create flames. This is a great session to run with lots to learn and do for participants. Two hours is probably just enough time to get settled, talk safety and make the stoves but three would be better so that they can get well lit and attendees can cook on them. Well done to everyone who came, it was a very cold and damp day and well done to staff for supporting attendees where needed.